We are now less than a month away from the tracks starting to be built, and we need to raise a few more $ to make sure they happen. We are staging a fantastic evening at Rock-it Cafe with local bands, Heavy Lounge Suite and Mighty Mighty playing either side of an auction. 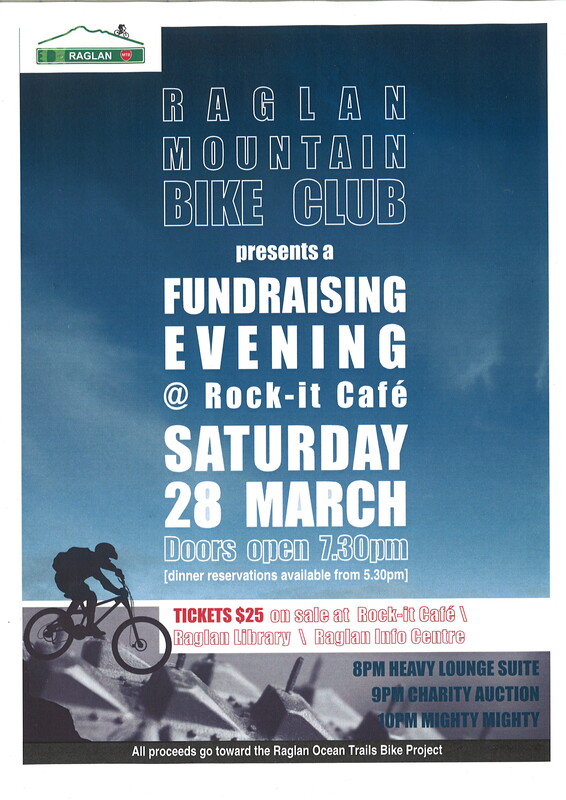 Tickets are $25 and are available from Rock-it Cafe, the Information Centre and the Raglan Library. Saturday the 28th of March. See you there!